We had our kick-off event for Relay for Life today. I started Relay because of my mom, but I Relay now for my kids. My mom is a 13 year breast cancer survivor. I keep Relaying in support of her and in support of finding a cure for the future. For more of these facts, visit the American Cancer Society. I think everyone should know where your $1 goes when you donate. If you’d like to donate to help me reach my goal of just $300 this year, you can do so here. Our theme this year is Disney, so look out for some more Disney posts- with a Relay twist! Thank you for sharing how the money is spent. It’s nice to see that the majority will go towards finding a cure we so desperately need! This is such a great organization! What a wonderful way to spread the word as well. This is a wonderful cause! I participated in a Relay for Life a few years back to support a child in the community that had a rare form of cancer. I hate that disease!!!! My mother died of cancer at the young age of 49. This is a great cause and the Disney will keep it fun! It’s also good to see how the money is filtered as it eases skepticism. I don’t mind when that a certain portion of my donations go to actually making the organization work, as long as that’s really what’s happening and it isn’t being wasted in inappropriate ways. I love when a charity is so open with exactly where your money is going. Good for you! I am so glad that you are doing Relay for Life, and so happy that these donations are actually going to a good cause! SO important! Love ACS and all that they are doing. 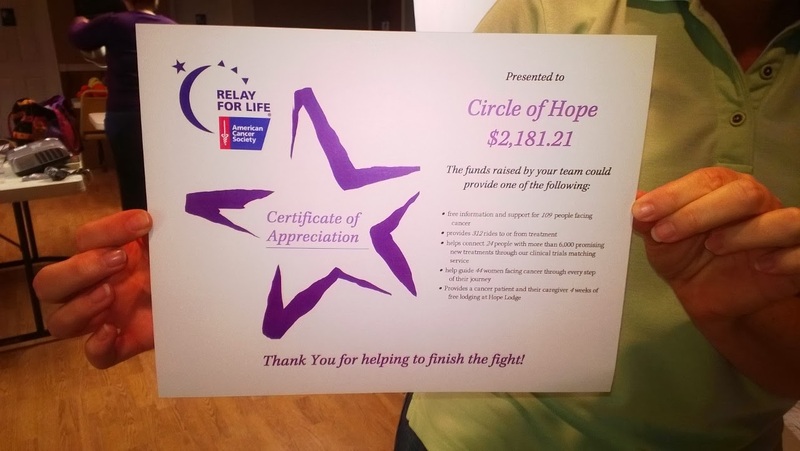 Thanks for your hard work for Relay for Life too! Thank you so much for sharing! I always donate to the American cancer society! I hate thinking that around 1,600 people die a day from cancer. This is such a huge and depressing number. I hope that they find a cure for our next generations. Over 1 million new cancer cases in just one year?! That is extremely sad. A cure needs to be found ASAP! I try to help out with donating for research when I can. thats a sad number. …of how many people die from cancer. I used to participate in a relay for life team. It was great fun for an amazing cause. Good luck and enjoy! This is such an informative post. It’s sad to see that the number of people affected with cancer are increasing every year. It’s everyone’s hope to finally find a cure to this. I’ve done Relay for Life a few times and more recently I did Team in Training for the Leukemia & Lymphoma Society. Both are great organizations. Can’t wait to see what you do with your Disney theme! This is such an amazing event. So awesome you are doing this! we have had so much fun at relay for life events in the past. fun, but so powerful emotionally. I have a friend who coordinates Realy For Life events. I’m so impressed with their mission! What a wonderful goal! Thank you for sharing this with us! Wow, that makes me really sad seeing the number of children and youth! I can’t believe there are that many children that get cancer!! great post especially for National Cancer Day. You’re doing a great thing. Those numbers are so sad. What a great cause to support. This is such a great cause. I hope you exceed your goal. So glad yo continue to honor your mother and now your kids. Relay for life is an amazing organization. Finding a cure is so important. I love that so much of each dollar goes directly to benefiting the cause and the people affected. I was wondering where you got the information for the dollar info graph you created. 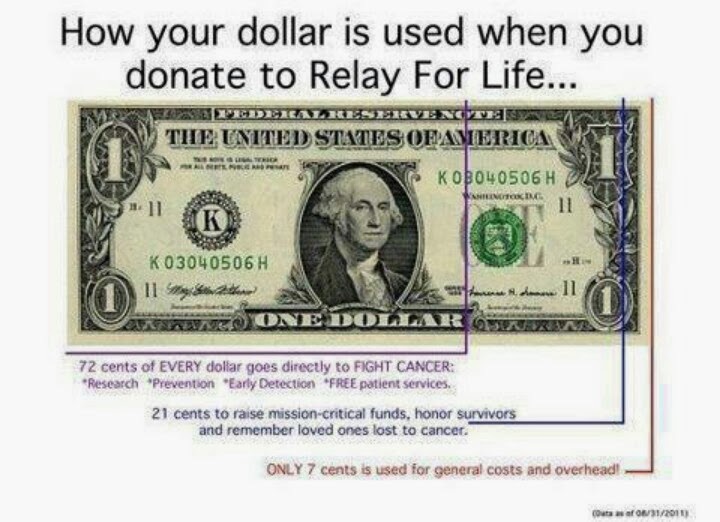 I’m on the fundraising committee for my university’s Relay and I’ve always wanted to know how our money is spent, but I’ve never been able to find that information! I found it online at some point through my local relay training info. It was just saved on my laptop.